CONGRATULATIONS TO THE STUDENTS WHO ATTENDED THE GOLDEN RULE KARATE TOURNAMENT. Congratulations to Angie Gongalves for her promotion to junior green belt #2. 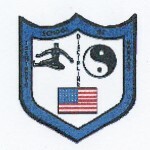 Please take a few of the dojo flyers and place them in stores to help us advertise and recruit new students. Thank You! Bull’s Eye by Brian Tracy is a story of persistence, concentration and clarity that transforms professional and personal wishes into attainable goals. The lessons shared will inspire you to refine your aspirations into measurable actions. Empower yourself to elevate from a dreamer to a lifelong achiever. When you take a precise approach to your passion, you will discover that hitting the bull’s eye is an act of perseverance, not chance. As Zig Ziglar said, “The fact is that you can’t hit a target that you can’t see.” Unless you are perfectly clear about what you want—your target, and the bull’s-eye on that target—you will never be able to win championships in the great contest of life. The greater clarity you have about who you are— your likes and dislikes, what you want, your goals and objectives—the greater progress you will make under even the most difficult of circumstances. In time management, one of the best ways to set priorities is to think about the likely consequences of doing or not doing a task. Successful people are those who spend most of their time on tasks and activities that have big potential consequences. They can have a real impact or influence on the future. Unsuccessful, unhappy people instead spend most of their time doing things of little or no consequence at all. The quality of your thinking has the greatest consequences of all. The quality of your thinking determines the quality of your choices and decisions. Your choices and decisions determine the actions you take. And the actions you take determine the quality and quantity of your results. Your goal should be to achieve the highest levels of success possible in every area of your life that is important to you. Fortunately, you have tremendous control over what happens to you and what you accomplish. By doing certain things in a certain way, over and over, you can dramatically increase the likelihood that you are going to enjoy high income and live an exciting life. There is a much higher probability that you will hit your personal bull’s-eyes. Here is an example: The Law of Probability says there is a probability that everything can happen and that these probabilities can be calculated with tremendous accuracy. One of the greatest discoveries is that you can increase the probability of success in any field by doing more of the things other successful people do. People wish and hope and dream about a “big score.” They try a dozen or a hundred different things. They keep throwing darts at the dartboard of life. But eventually, most people give up and simply settle for mediocrity. They conclude that they are “not good enough” and that they will never have the skill and ability to hit the bull’s-eye in the game of life. But what if this same player takes a different strategy? What if he becomes serious about hitting a bull’s-eye and winning in the game of life? He hires an expert at the game of darts and takes some of the best training available to a person in this sport. Instead of being distracted, tired, and having a couple drinks, he is instead well rested and clearheaded. The dartboard is well lit and only a few feet away. Now, what are his chances of hitting the target? They are much better because of his preparation and positioning. What if he also has an endless supply of darts and continues to throw the darts, measuring and calibrating his accuracy with each throw, correcting his stance and his throwing, and persistently throws darts over and over again? Under these conditions, the chance is almost 100 percent that he will eventually hit the bull’s-eye. And once he hits it, if he continues to practice and improve his aim, he will eventually be able to hit bull’s-eye after bull’s-eye in the great game of life. It is the same with you. You can dramatically increase your chances of hitting your bull’s-eyes in life if you do the same things that champions do in your field, over and over. The key is clarity. You must develop absolute clarity about who you are, what you really want, and the steps you will have to take to achieve what you want to achieve and to get to where you want to go. WE DO THE SAME THINGS THE LONGER WE STAY WITH OUR ISSHIN-RYU TRAINING. WE TRAIN BY REPEATING OUR BASICS, KATA AND KIMITE SKILLS DURING EACH CLASS. ONCE A PERSON COMMITS AND HAS A CLEAR PURPOSE, SUCCESS IS THE NEXT STEP. IT IS OFTEN EASIER TO DO TECHNIQUES THE CORRECT WAY FROM THE START. THAT WAY WE DO NOT HAVE TO STOP AND RELEARN THE PROPER FORM FOR EXECUTION. AT THE TOURNAMENT IN WARREN HILLS I WAS A HEAD JUDGE. DURING A SPARRING MATCH A GIRL SAID SHE WAS GOING TO LOSE BECAUSE SHE WAS PAIRED WITH A LARGER GIRL A YEAR OLDER. I TOLD HER THE COMPETITION WASN’T DONE AND IF SHE TRIED SHE MIGHT SURPRISE HERSELF. SHE LOST THE FIRST POINT BUT WON THE NEXT THREE, WINNING THE MATCH.